improving quality and managing a complex lifecycle of compliance and regulatory standards. In other words, you must be agile. You simply cannot expect your systems-engineering teams to perform at this level using just any point solution. 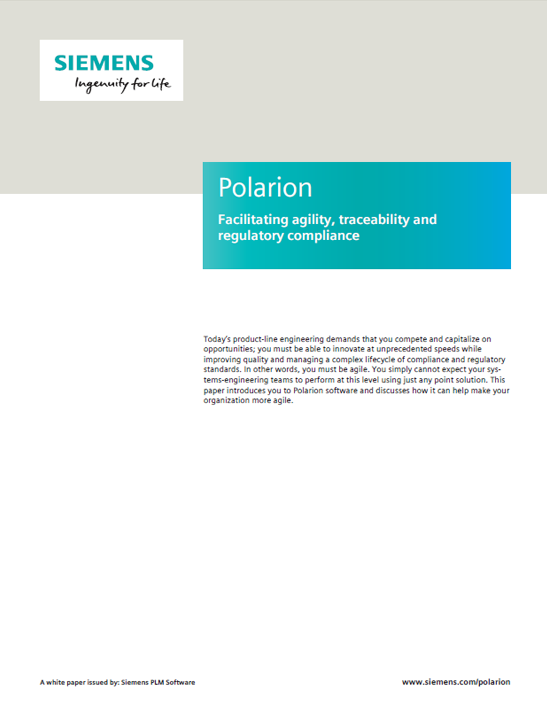 This paper introduces you to Polarion software and discusses how it can help make your organization more agile.